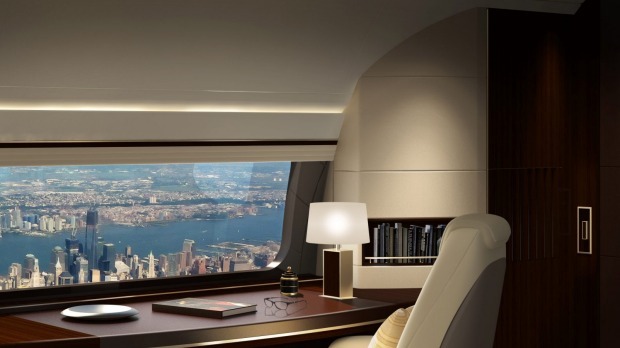 Boeing's Skyview window will be the largest of all time. The largest window on any passenger aircraft, measuring a whopping 137cm x 45cm, will be unveiled next year. That's more than three times wider than a standard plane window. The Skyview Panoramic, developed for Boeing by aerospace firm Fokker Technologies, will offer unrivalled views from 35,000 feet. But not everyone will get the chance to enjoy the vistas – plans are only in place to install them on corporate planes. 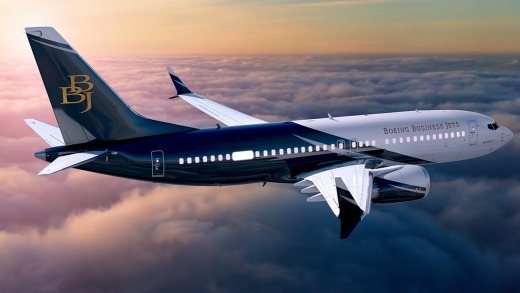 Following a 2018 launch, all new Boeing Business Jet (BBJ), BBJ2 and BBJ Max aircraft will include the giant apertures, which can sit in multiple locations to the aft of the wing. They may also be added to Boeing's existing corporate aircraft at the request of owners. Fokker first proposed the Skyview Panoramic several years ago but had been waiting for FAA and EASA approval. One of the most notable features of the Boeing 787 Dreamliner, which launched in 2009, is its larger windows. But at just 45cm in length they pale in comparison to the Skyview Panoramic. The world's private jets are already packed with lavish features - even without this latest addition. Photographer Nick Gleis, who has snapped inside more than 800 such aircraft, said he had seen everything from a domed ceiling that changed colour to simulate dawn, day, dusk and night (including star constellations) to a "living wall" of plants. For a glimpse of the plane cabins of the future, it's hard to beat the annual Aircraft Interior Expo. This year's event takes place in Hamburg from April 4, but a shortlist of award nominees has already been released. 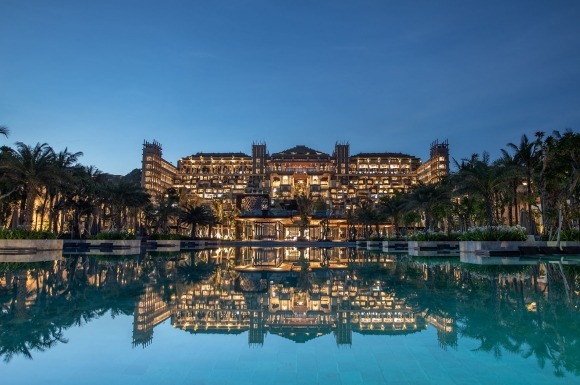 As with the Skyview Panoramic, it's the wealthiest travellers that look set to benefit. 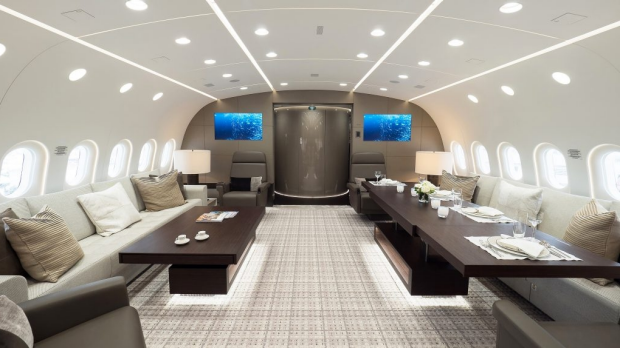 Highlights include the first business-class cabin to feature a sliding door for each passenger, courtesy of Delta Air Lines, and the first underfloor heating system for a private jet, the work of Austria's F.List GmbH. 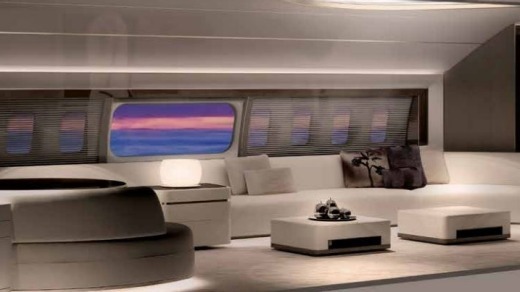 US-based Kestrel Aviation Management, meanwhile, has been praised by Expo judges for its Dreamjet concept, which sees the 787 Dreamliner (which ordinarily carries between 240 and 335 passengers) turned into a 40-passenger plane so spacious it resembles an airborne penthouse apartment. It features an entertainment and study lounge, dedicated dining spaces, and en-suite master bedroom, and is finished with hardwood floors and hand-tufted carpets. Spot the difference? The Boeing Skyview window as seen from outside a plane.